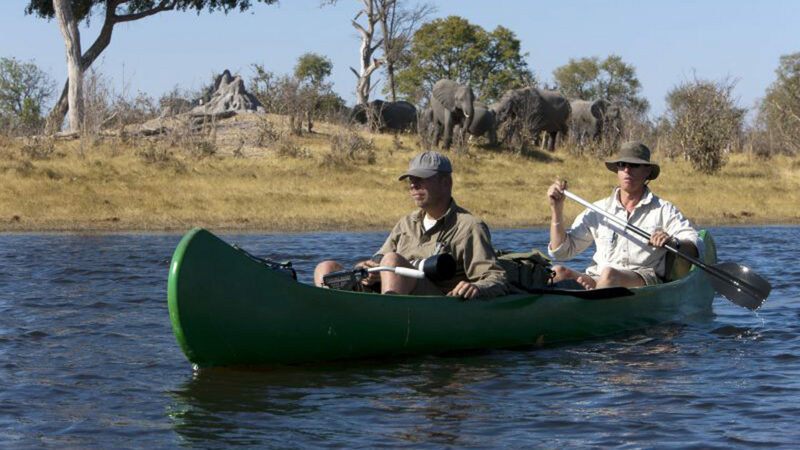 This four-day canoeing and camping expedition showcases the natural treasures of the Okavango Delta and the Selinda Spillway. Eco-travelers venture out from Botswana by foot or canoe to dig deep into Africa’s interior. 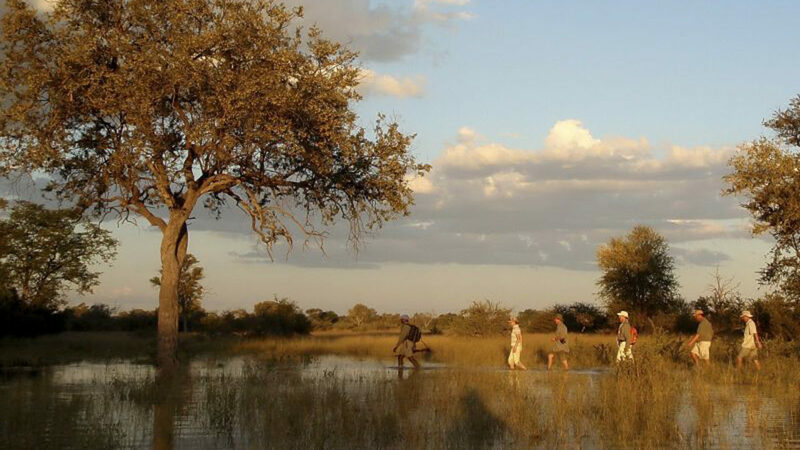 Professional guides, occasionally aided by a river bushman from the Gudikwa village, chart a course from the Spillway into the vast 320,000-acre Selinda Reserve. No two treks are the same, as the plan must map around climate changes that occur naturally in such remote settings. 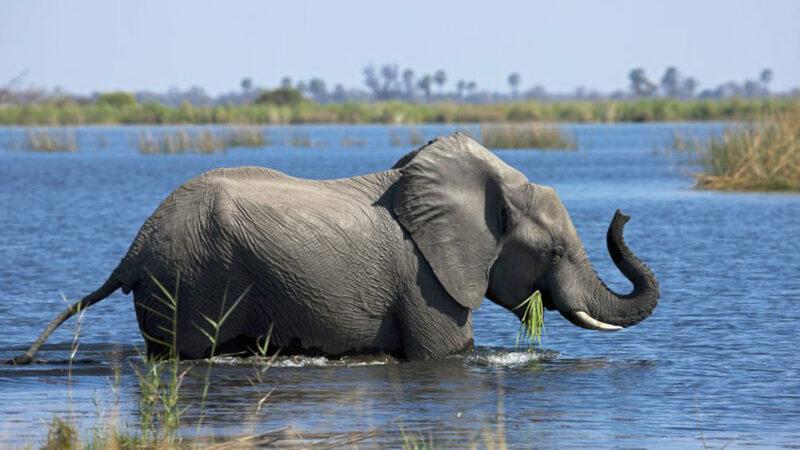 This area is particularly well known for some of Botswana’s largest herds of buffalo, elephant, roan antelope and African wild dog. Along the river banks, guests enjoy beautifully prepared gourmet picnics to refuel for the next leg of travel. Each evening, walk-in canvas tents are set up by staff and hearty meals are served around a campfire, where guests share their sightings of the day and a guide tells insider tales of the jungle. For those who wish to fully immerse themselves in the African wilderness, this raw bush meets five-star experience fits the bill. All three nights are spent in fly camps along the Selinda Spillway at pre-arranged sites. The days are spent paddling or walking along the Spillway and into the woodlands of the reserve, depending on which option is available at that time, with regular stops whenever there is something of interest to be seen along the way. The route we follow will be flexible, changing with the season to maximise each guest’s experience. Please ensure that you have the correct information. Children 14 years old are welcome due to the daily walking distances. A private tailored safari is available for families with children from 10 – 13 years old. Muan Airport (MUB) to the private Selinda Reserve (Category B) airstrip whose co-ordinates are S18″33.95′; E23″30.73′. The Selinda Adventure Trail takes place in the Okavango Delta along the Selinda Spillway and through the private 320,000-acre Selinda Reserve.